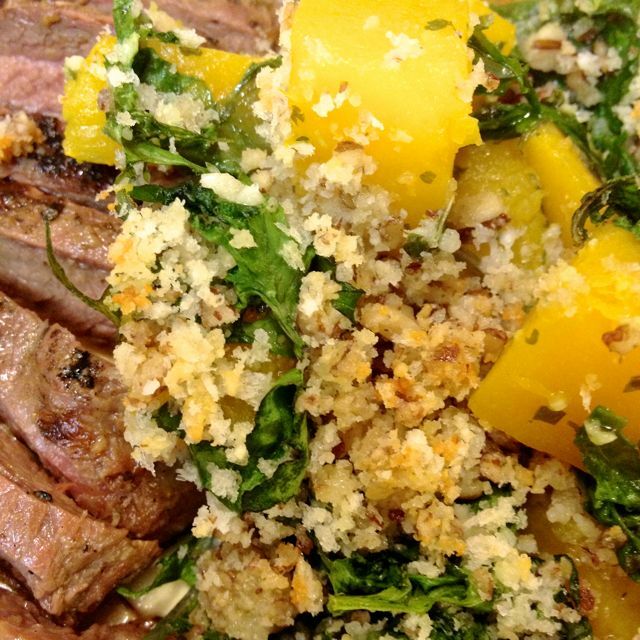 This is a wonderful gratin that really shows off the great flavour that Butternut Squash has. 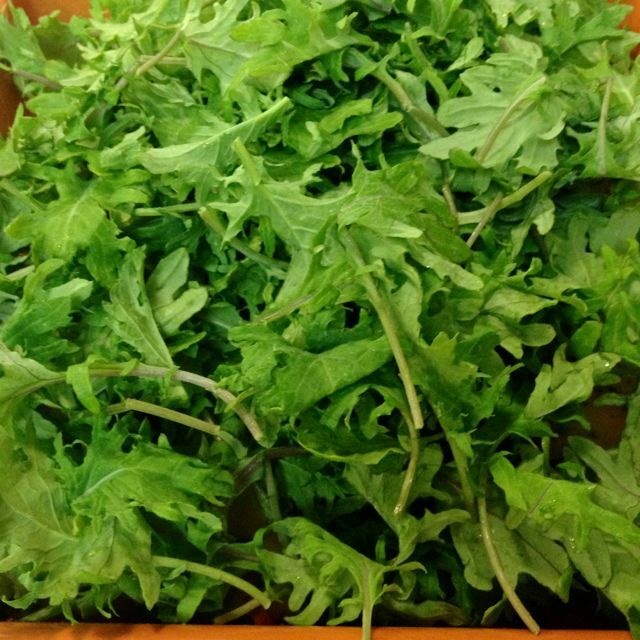 It’s teamed with garlic and kale, with a yummy gratin topping. Even though it is meant as a side, it could easily be served as a main. You’ll just need more! Serves 4 – 6 as a side dish. 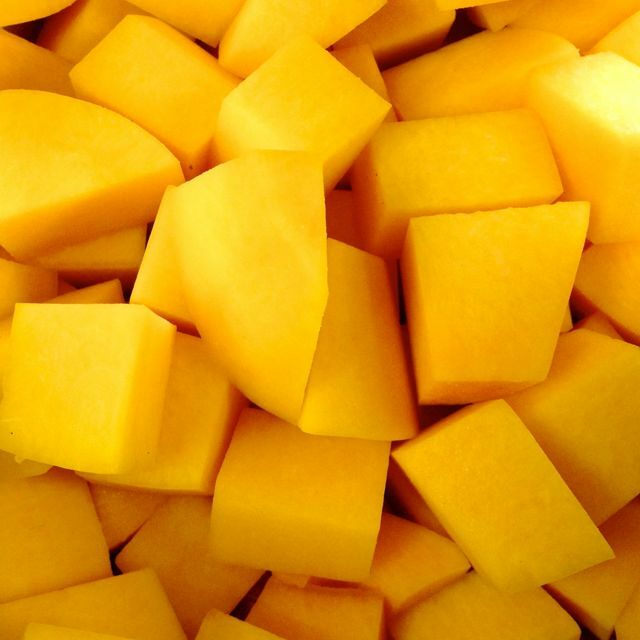 1 Butternut Squash – about 2½ lbs. Peel, and scoop out the seeds of the squash. 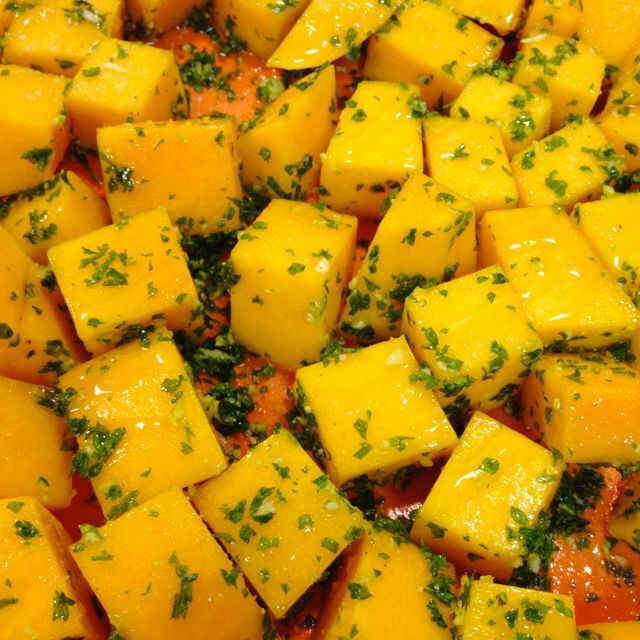 Cut the firm squash into 1” chunks, some will be funny little shapes, and that’s ok. 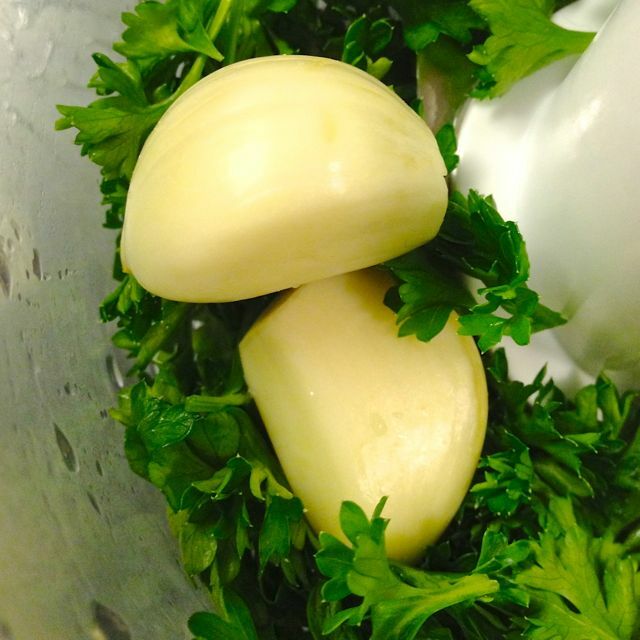 Finely chop the garlic & parsley. Toss together in a bowl. 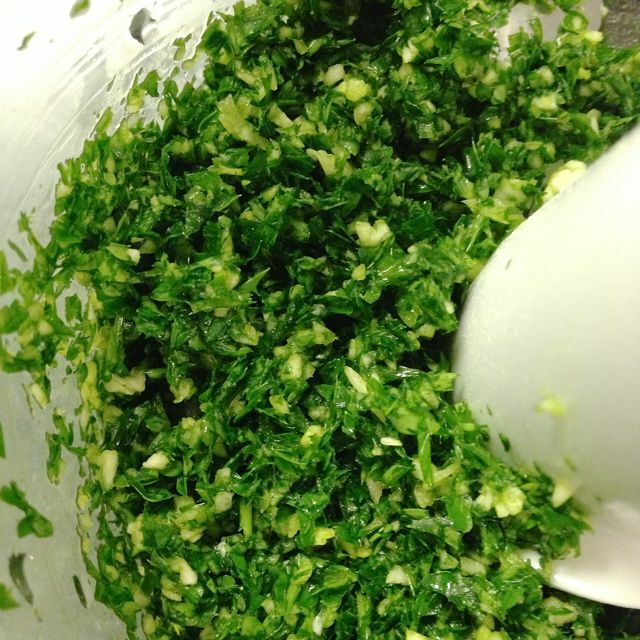 Alternatively, put the garlic & parsley in a processor, and finely chop together. Lightly oil a gratin dish. 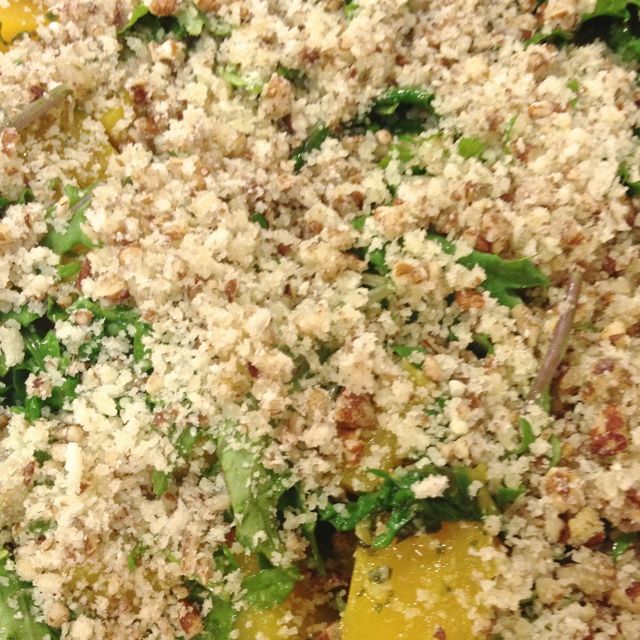 Add in the squash pieces and the garlic & parsley mixture. Toss together with some salt to season, and a drizzle of oil. Cover the dish with foil. 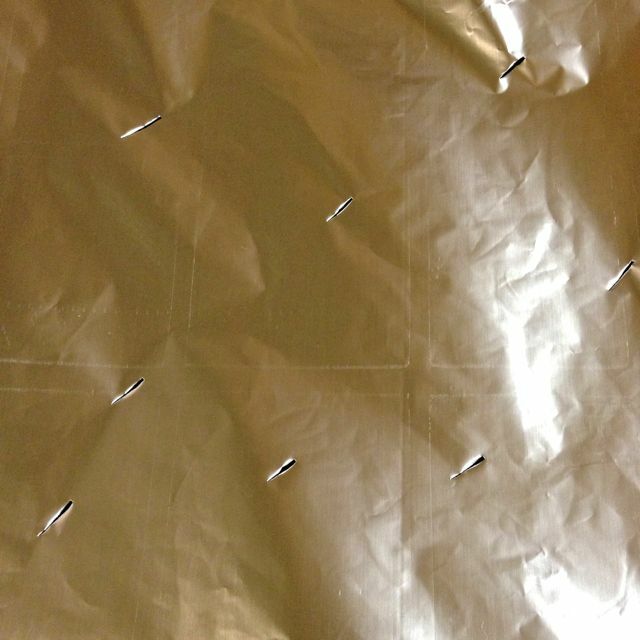 Pierce the foil to allow some steam to escape. We want the squash to stay firm, not mushy and wet. Remove from the oven, and uncover. 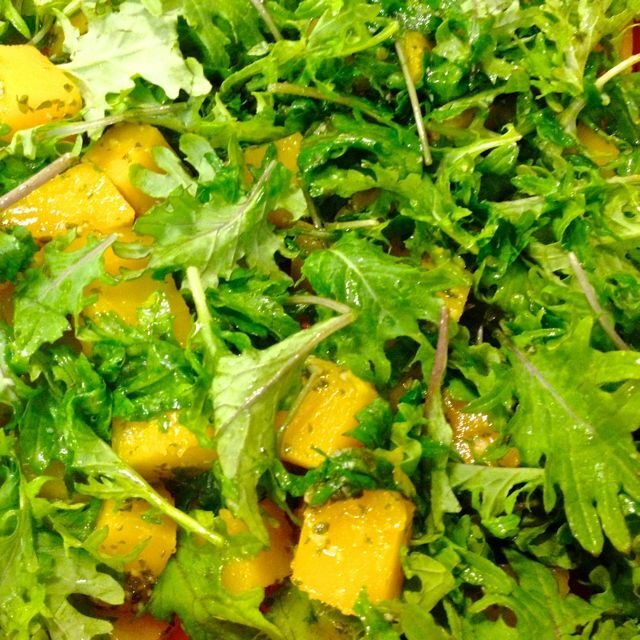 Add in the baby kale, using a couple of spoons to mix the squash pieces and kale together. 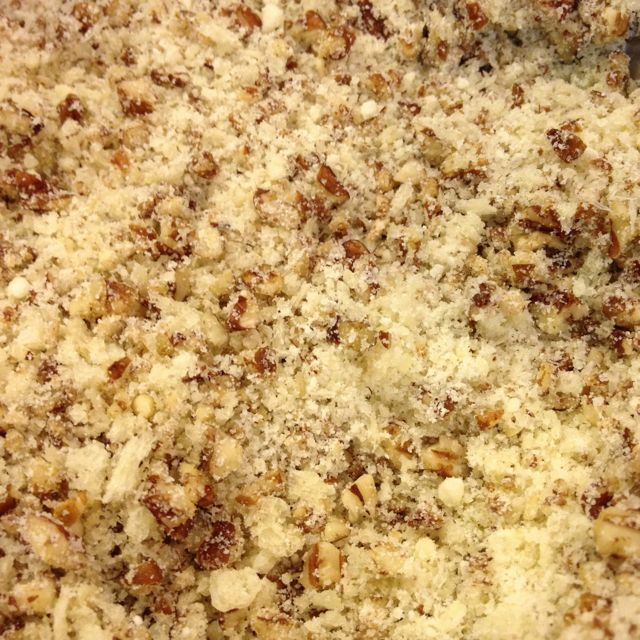 Mix the panko, Parmesan, and chopped pecans together in a small bowl. 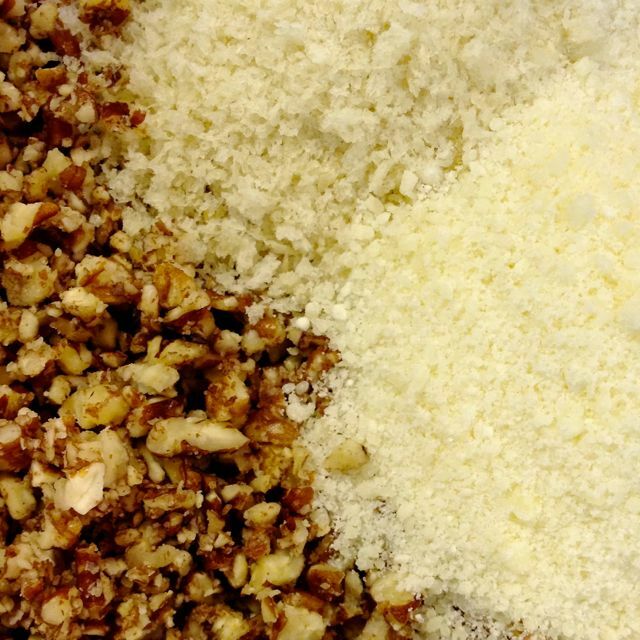 Season the mixture with a bit of salt, and drizzle with some oil. Toss together. 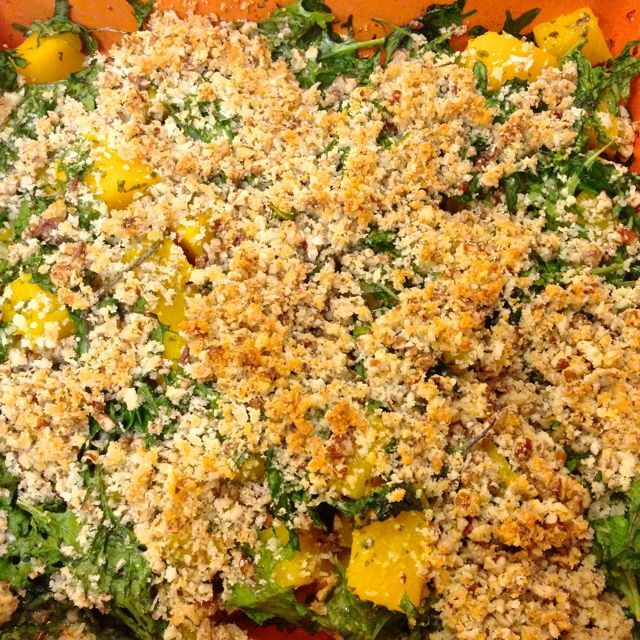 Sprinkle over the mixture of squash and baby kale. Return the dish, uncovered, to the oven for another 10 minutes. Shown served with some home grown Flank Steak.